There’s no questioning the fact that New York is home to some fabulous shopping opportunities, but try to figure out which shopping district best suits you can be overwhelming. Manhattan alone has dozens of popular shopping streets and neighbourhoods, so it’s nice to have a handy guide to help your way around the city. 5th Avenue is New York’s most famous and celebrated shopping street. The best shopping is centred on Midtown, right in the heart of Manhattan. Though there are plenty of international brand names with storefronts on this iconic street, everyone comes here for the NYC staples: Bergdorf Goodman, Henri Bendel, and Saks 5th Avenue. These places may be out of the price range for most of us, but they’re worth a visit anyway. Whereas 5th Avenue exudes NYC sophistication, Soho is a little more laid-back. You’ll still find luxury brand names here, but the atmosphere is a lot different and ultra-lux names like Prada stand alongside with more attainable ones like Old Navy. Soho is also one of NYC’s prettiest neighbourhoods and is characterised by 19th-century buildings accented with wrought iron and other detailing. In addition to the dozens of fashionable retailers here, Soho is still a good place to hunt down artwork and other fabulous finds. Nolita stands for “North of Little Italy” and is quickly earning an uber-trendy status among New Yorkers. Its main shopping street is Elizabeth Street, which features a mix of established brand names and quirky boutiques. Like 5th Avenue and Soho, this isn’t a place where you’ll find rock bottom prices, but it’s a good neighbourhood to explore if you’re looking for that one-of-a-kind statement piece. Originally made famous by Jewish delis and casual eateries, the Lower East Side is now becoming a hipster haven as well. It’s home to the Historic Orchard Street Shopping District, which includes Orchard, Allen, and Ludlow Streets. Locals have enjoyed picking up bargains here for decades, but prices have inched up as the neighbourhood attracts more tourists. However, if you look hard enough you can still find plenty of bargains on clothing, textiles, and leather goods. Crammed between Little Italy and the Lower East Side, Chinatown is full of bargains on all kinds of trinkets and textiles. Cramped and crowded, it’s a total feast for the senses. Along with great buys on Chinese-themed souvenirs, stationery, decor and clothing, it’s also the best place in the city to chow down on Chinese food. Greenwich Village is where everyone in NYC wants to live. Tree-lined streets partially cover blocks of impossibly expensive flats owned by fashion executives and other well-to-do entrepreneurs. Below these flats are amazing boutiques selling one-of-a-kind pieces and crowded street side cafes selling organic fair-trade coffee. Shopping in Greenwich Village is a pleasure, but won’t be kind on your bank account. Canal Street, which separates Little Italy and Chinatown, is the epicentre of New York street fashion. Fashionistas flock to this multicultural street for the ultimate in bargain shopping. You’ll find a mix of open-air stalls, brands you’ve never heard of, souvenir shops, and pretty much anything under the sun. If Canal Street feels a little overwhelming, simply duck down into Tribeca for some breathing room. Shopping in NYC can go from incredibly sophisticated to bohemian hipster and bargain-hunter’s paradise over the course of a few blocks. That level of diversity is part of what makes the city so great and what continuously draws millions of visitors to the Big Apple each year. Once you get a feel for the city, feel free to explore tiny cobble streets and unassuming corners on your own. Visiting the major shops is a fun experience, but the real pleasurable part of shopping in NYC is discovering little boutiques away from the main tourist drag. 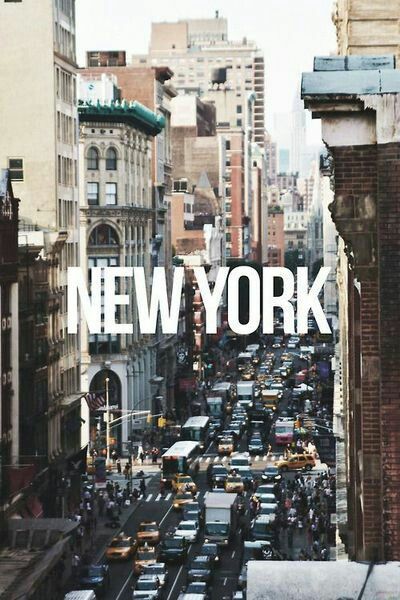 So get yourself some flights to New York and shop until you drop in the city that never sleeps. Joy Francis is a freelance writer specialising in luxury and travel.